All your animals, in your pocket. Introducing Herd, the application to help you track your animals, presenting them clearly and efficiently on your iPhone or iPod Touch. The free version of Herd is limited to 5 animals, and this can be upgraded to an unlimited number of animals using In-App-Purhcase. 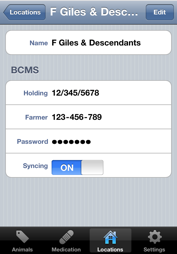 In England, Scotland and Wales, Herd can connect to CTS Online, allowing you to download all your animal details. 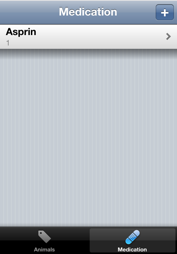 Note there will be an additional fee for this functionality, available through In-App-Purchase. New! 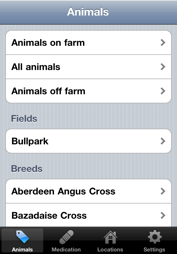 Herd now works with sheep, pigs and horses … in fact, any species you're wanting to keep track of! Herd will also track any medication you administer to your animals, allowing you to delay the sale of the animal if legally required. If you are experiencing problems with using Herd, you can find answers to the most common issues on its support page. If you have any questions about Herd, please don't hesitate to contact me.